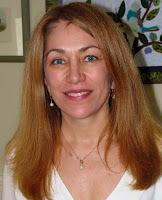 Congratulations to Elizabeth for winning the Sewing Tutorial Challenge! Unfortunately Dawn did not make it on to the next challenge. No one participated in the #fabricistafashionchallengereader Reader Challenge, so no prizes will be awarded! We're in the home stretch! This is the last challenge, can you believe it? All the ladies in this challenge have done an amazing job and I can't wait to see who the winner is. The last three contestants are guaranteed to win something, it's just a matter who will win the grand prize! 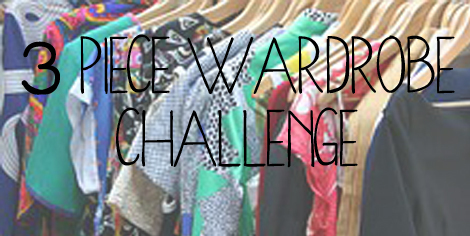 This week's challenge is the 3 Piece Wardrobe Challenge. Find a garment (handmade or ready-to-wear) that you hardly wear because you don't have anything to go with it. Create two other garments that would go well with it in hopes that you will then wear the hardly worn piece. The two items must be different items such as a skirt and blazer. Do not make two skirts or two pairs of pants. These two items do not have to match or be worn together. This is the time to really put yourself out there. Think outside of the box and think about how you can really make the hardly worn garment a show piece in your wardrobe. Execution and Creativity - Did you come up with two different pieces that go well with the hardly worn garment? Do they complement this garment and most of all, does it make you want to wear it now? Fit – Do the clothes fit you proportionately? Are the flattering? They are not too tight? We have two professional fit experts judging this week. They will be looking closely! Presentation - Make yourself look presentable. Select a backdrop that does not compete with you and your garments. Submit a photo of the hardly worn garment (before photo), and photos of the other two pieces with the hardly worn garment. Submit front, back and side views of the new garments too. Detail photos are also requested so we can be better judges. So if you do some embellishing or a specific technique, zoom in and share with us! Not all the photos may be used in the blog post, but for judges reference. This week's judges are Melissa Watson from Palmer/Pletsch and Sharon Blair from Portland Sewing. events. She speaks frequently at seminars and at trade and civic events and contracts with several clothing manufacturers. Due Date: You have 12 days to work on this challenge. Photos and project information is due on Tuesday, October 13. The finished projects will be revealed for reader voting October 14-15 and the winner will be announced on Friday, October 16. Attention readers! Don't forget to vote for your favorite! A link for voting will be provided on reveal day. Grand Prize Winner will receive: $25 a month for one year to spend on fabric, plus be a Fabric Mart Fabricista for 6 months writing guest posts for the blog. (A $300 value with media exposure.) You will also receive a Julie's Picks Membership and a ponte knit bundle. OH how fun! I will definitely be sewing along with this one!!! So sorry to see Dawn go and a big congratulations to Elizabeth! Oh Hooray!!! I am so excited to have won!! Thank you so much!! Just thrilled! Now time to get busy!! How fun! What a great challenge this has been so far and congrats to all the contestants!